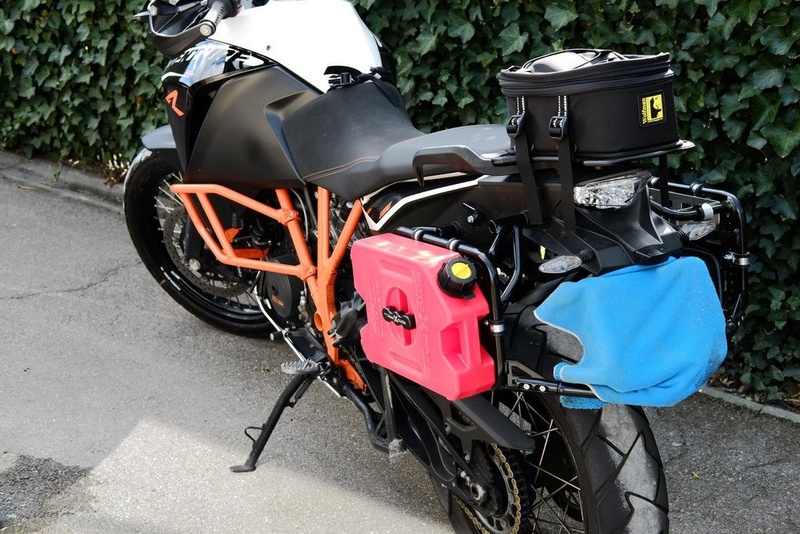 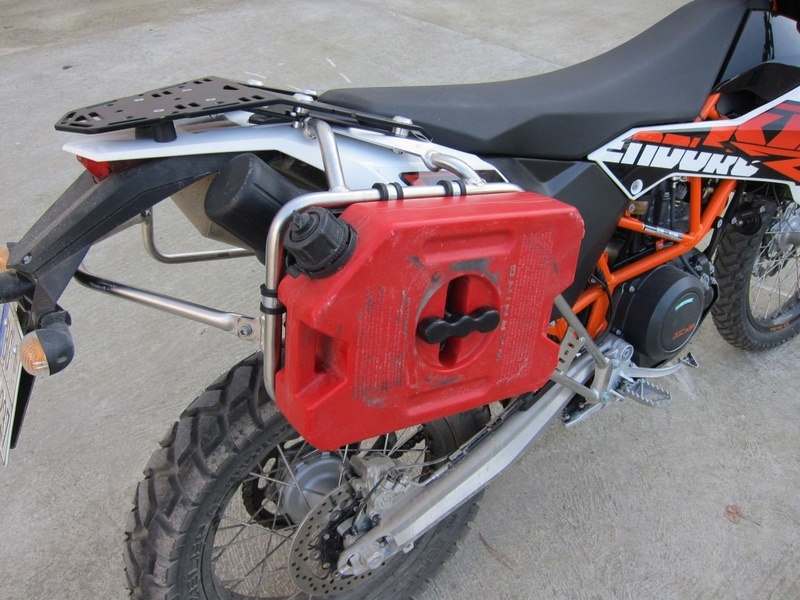 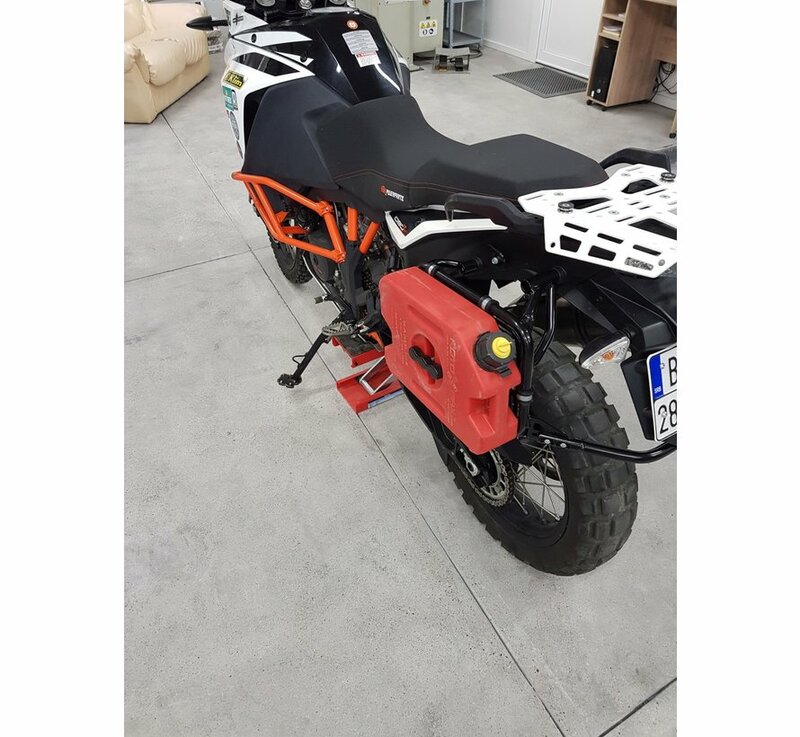 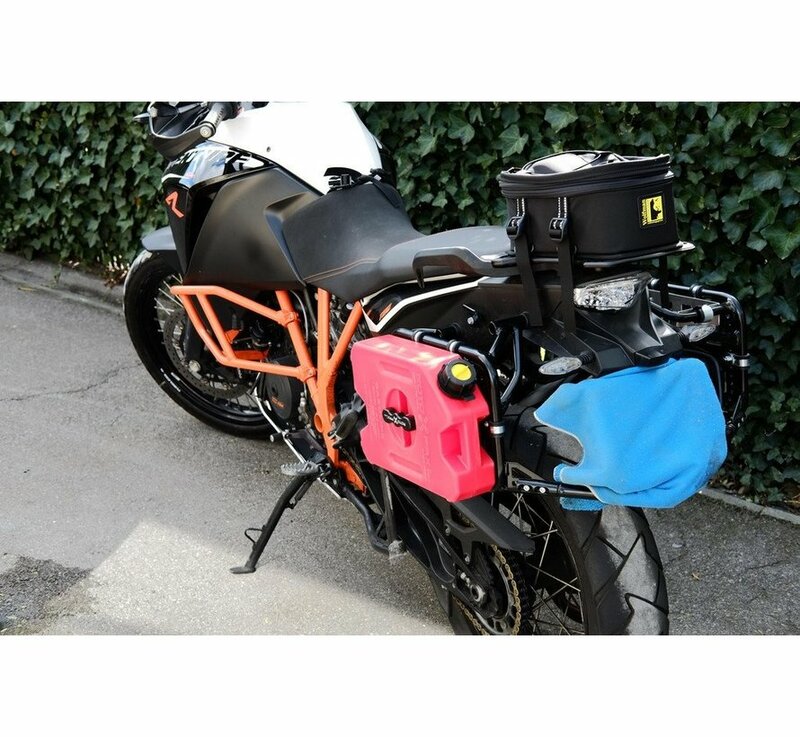 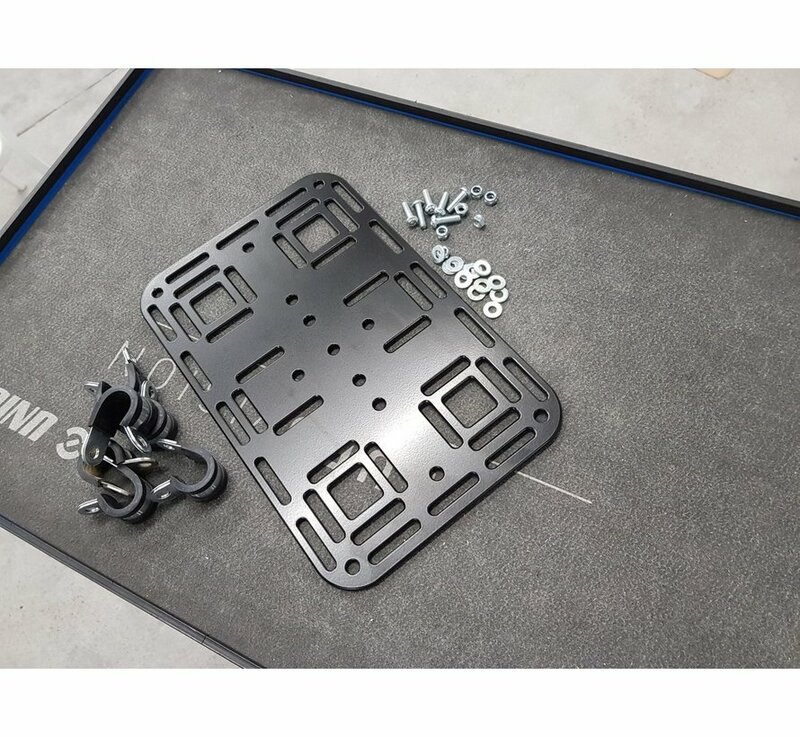 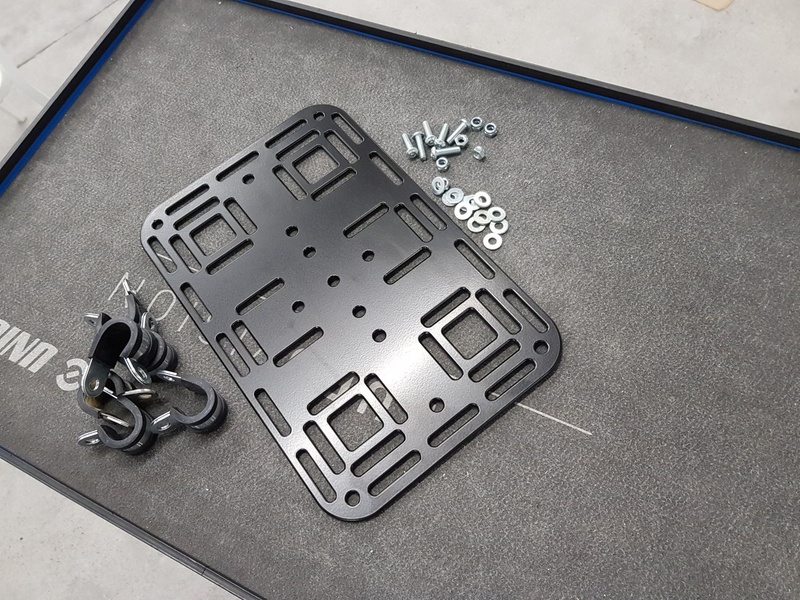 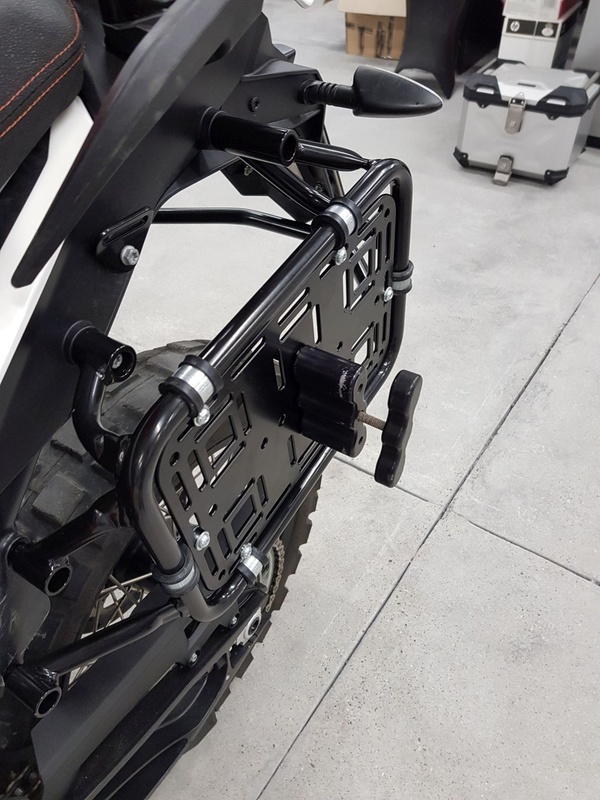 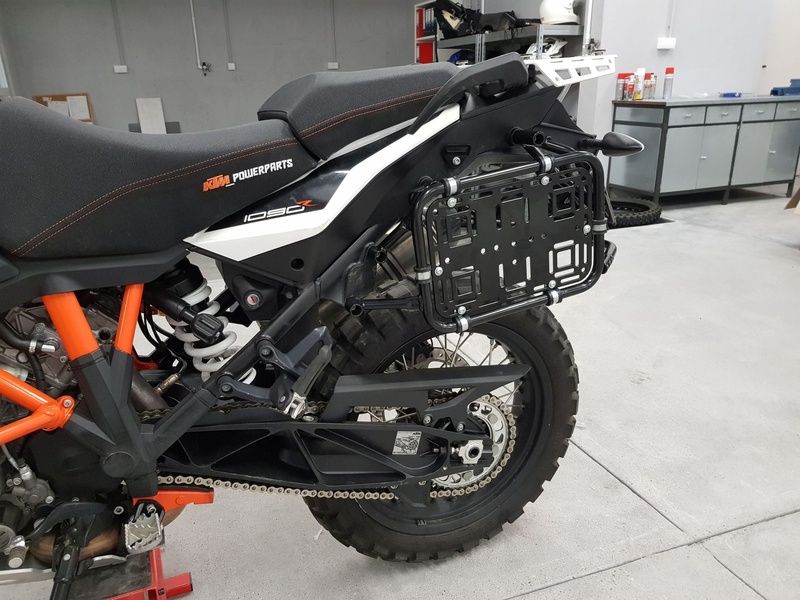 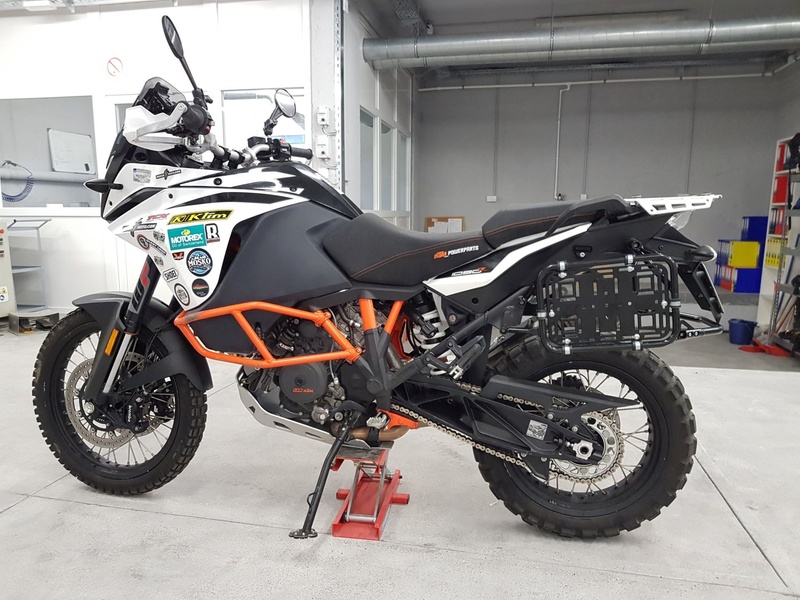 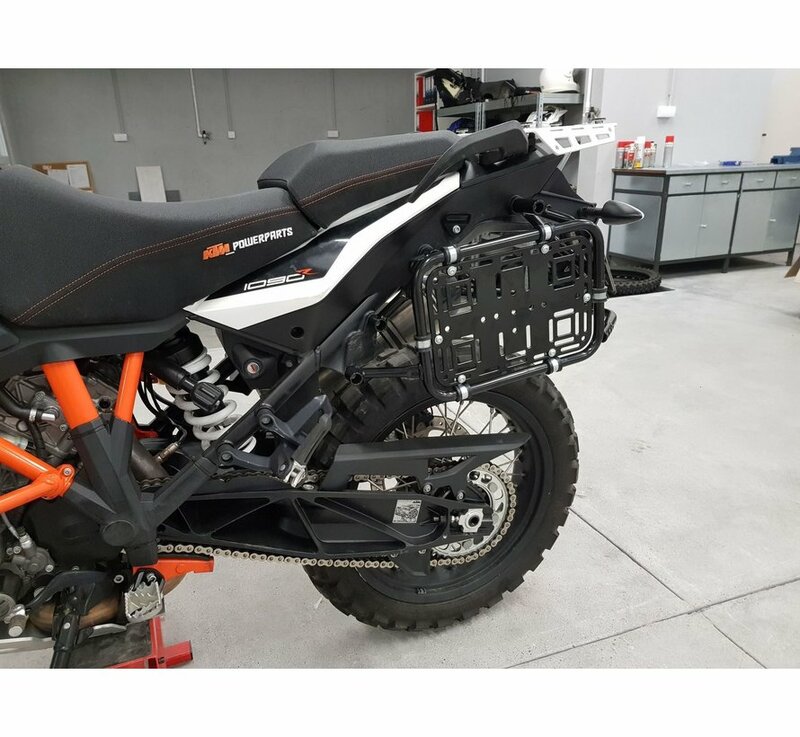 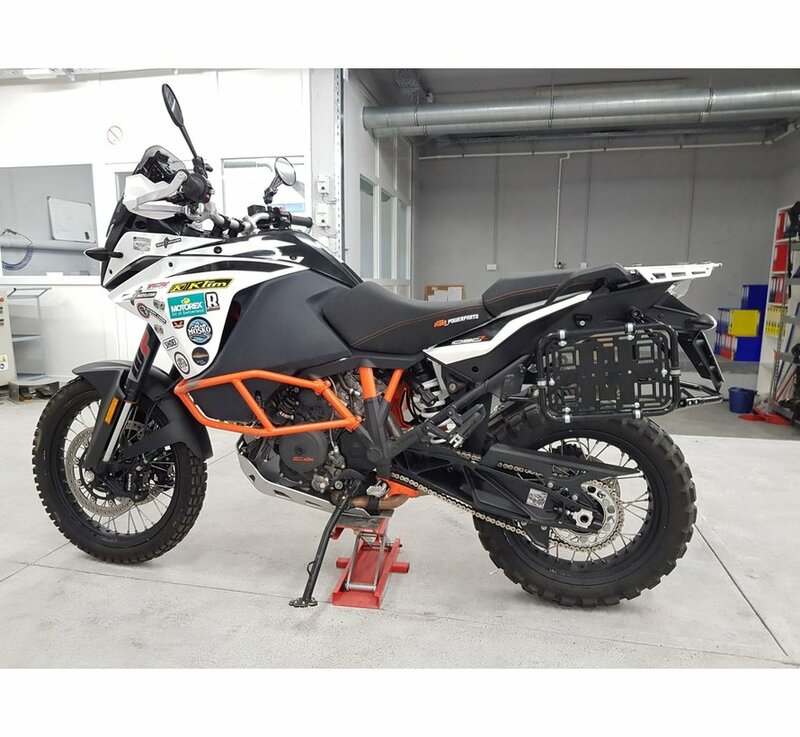 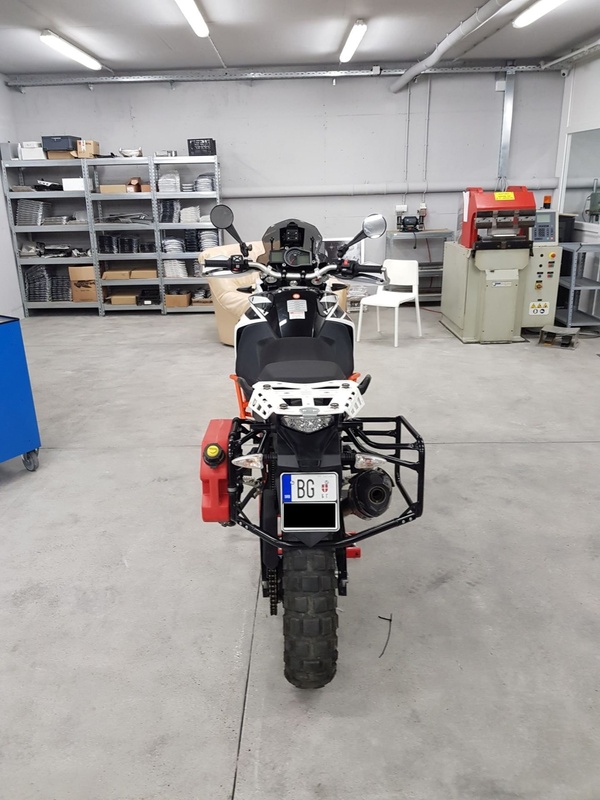 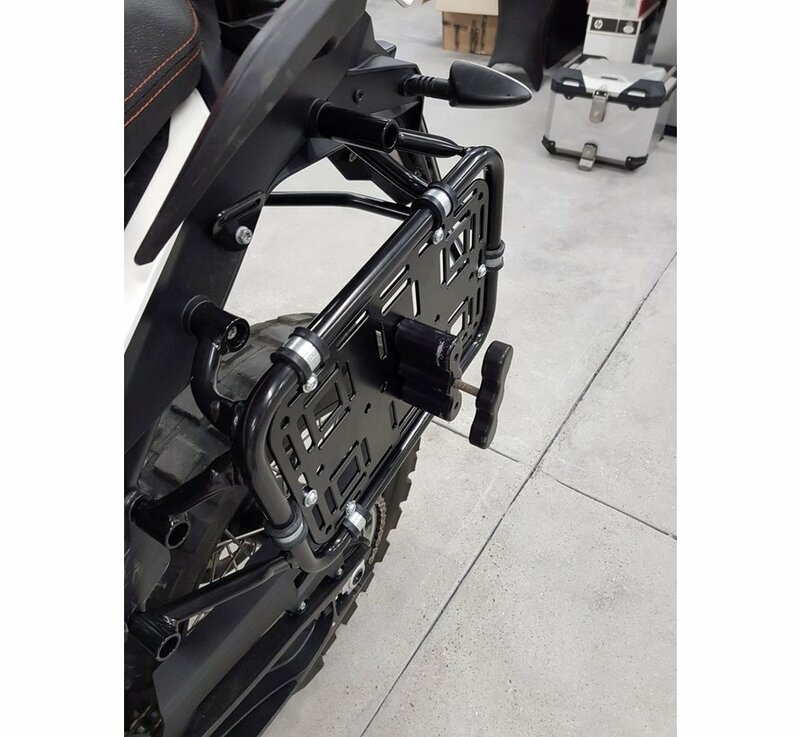 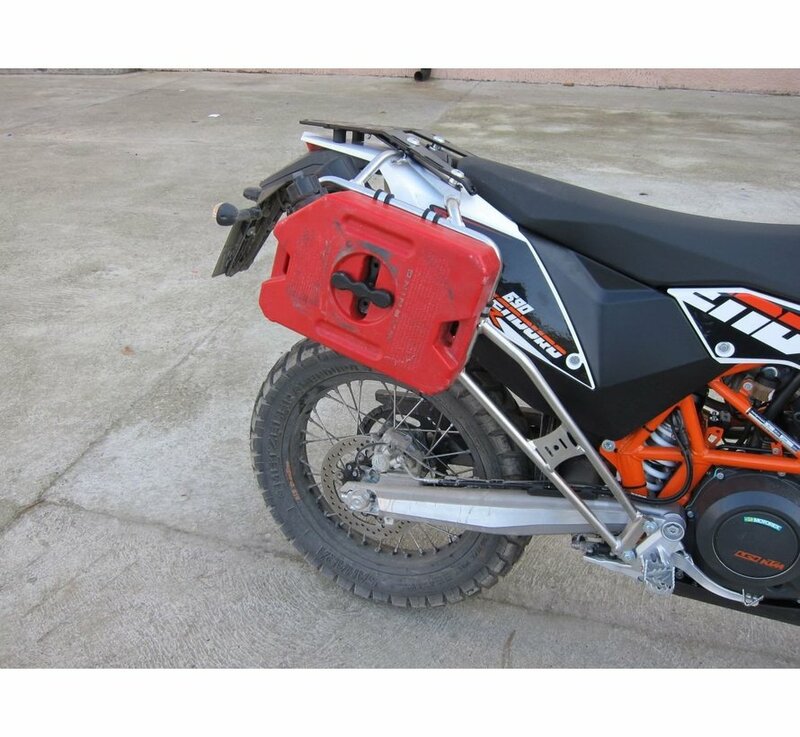 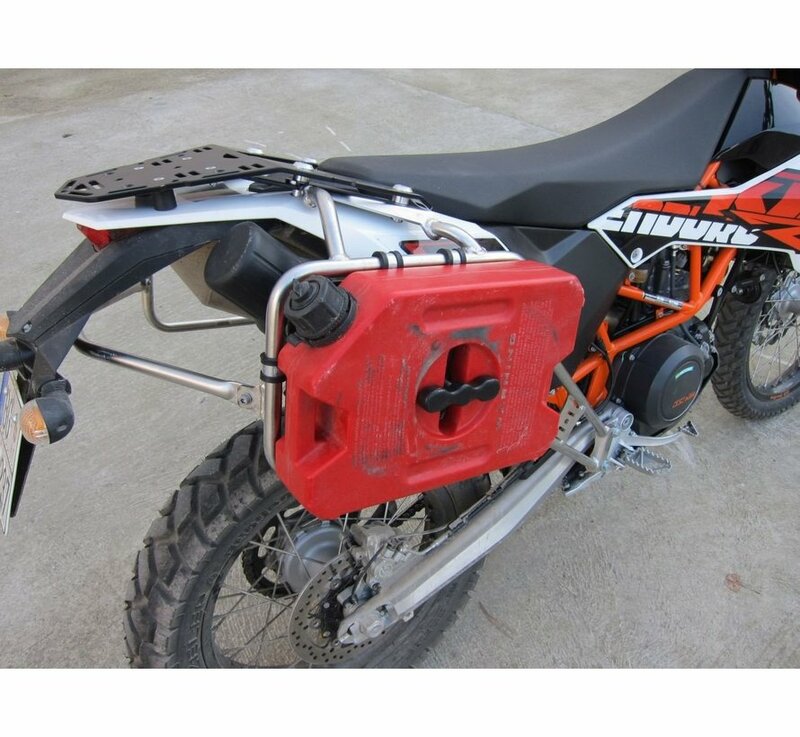 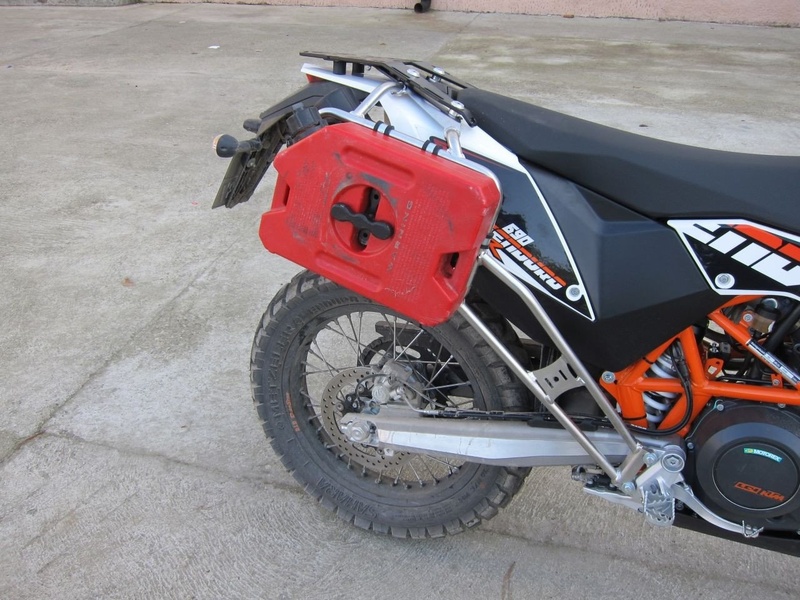 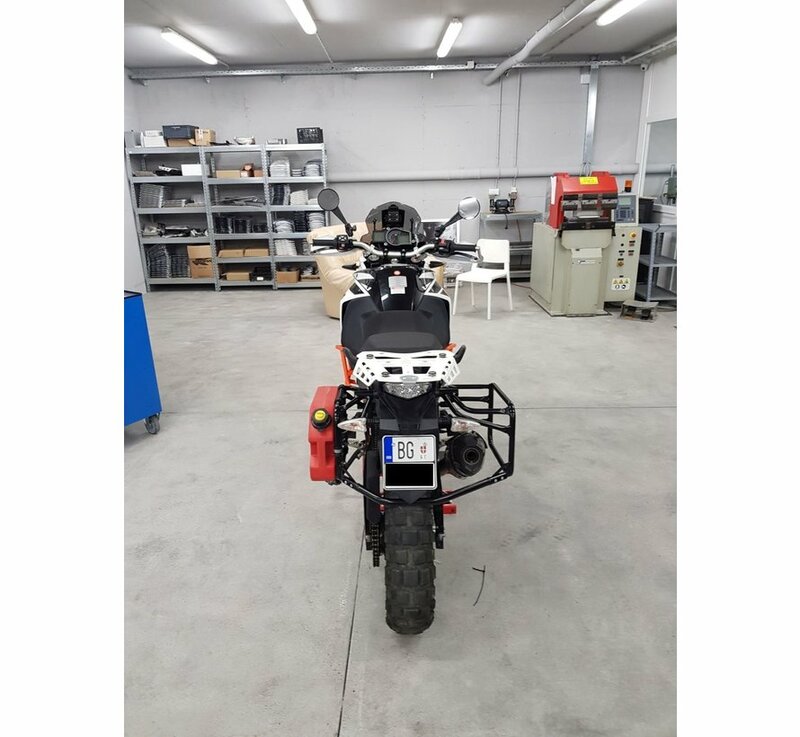 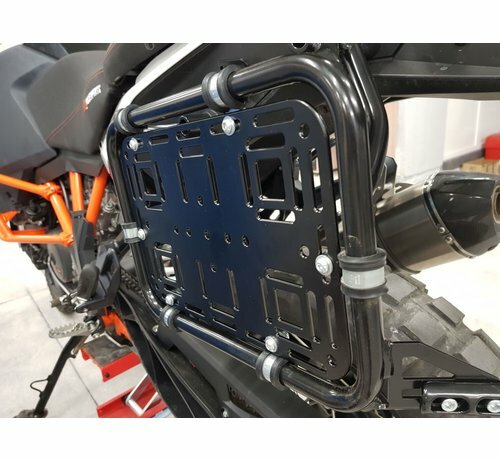 Bolt-on installation onto most Touratech pannier racks and all other pannier racks with 18 mm tubing and 350 x 245 outer dimensions of hoop (Touratech pannier rack for most KTM's, Africa Twin, Yamaha Ténéré etc). 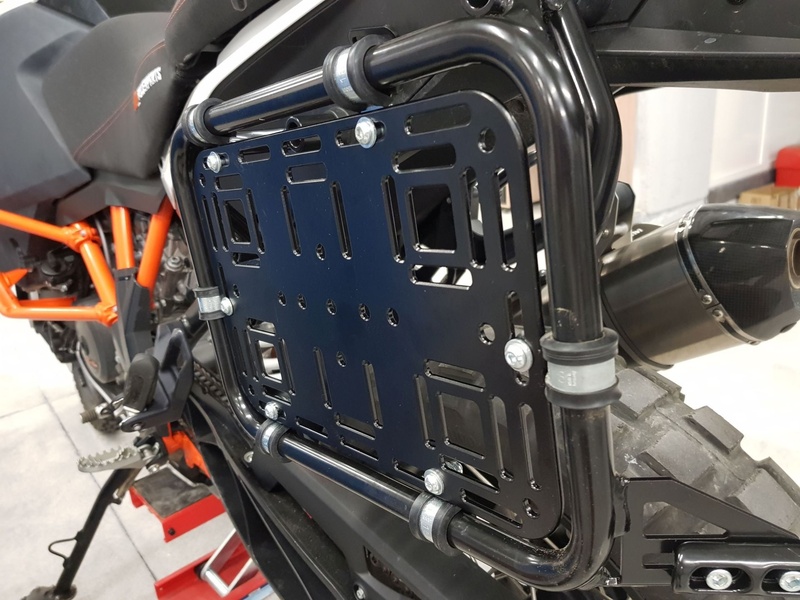 Side rack plates on KTM 1190 Adventure R with KTM pannier racks HERE. 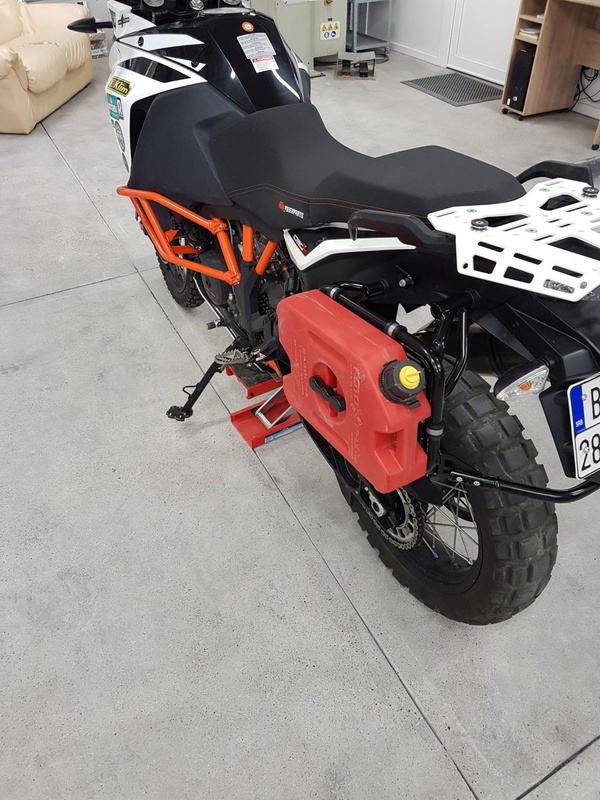 Improvements over previous design are explained HERE.